Binary Secret Review - Stay Away from the Scam! Binary Secret Review – Stay Away from the Scam! Binary Secret scam by David Craig can be found at binarysecret.co, and it’s full of fake promises. Learn the hard truth behind their sugar coated promises in our detailed Binary Secret Review before you trap yourself in a financial headache. Binary Secret scam chooses to start the sales video with a few member testimonials claiming to have made huge profits with the software. It’s a powerful message to attract the attention of unsuspecting internet users and to lure them into watching the entire sales video. 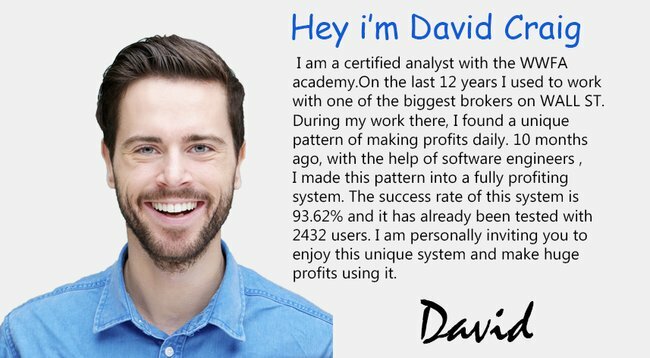 Once you focus the video, the alleged owner of Binary Secret system, David Craig says he is offering you a fully automated money-making system for free. Yes, he is not going to charge you a single cent for this miracle software. He claims that the software was built by a group of ex-wall street analysts who know the secrets behind the scene. And they got the computer engineers to turn it into a fully automated software. As good as it sounds, unfortunately we’ve found some conclusive evidence to prove that Binary Secret is a scam. Compare this Fiverr actress image to the one shown in Binary Secret sales video. It’s evident that Binary Secret scam is using Fiverr services to produce fake member testimonials. The other member testimonials are also bought from Fiverr.com, you’ll be able to find them if you browse around the Fiverr video testimonial page. Fake testimonials can be bought online very easily. With that said, don’t trust any video testimonials you see online. If you come across opportunities that seem too good to be true (such as Binary Secret system), do your own research before you make any financial commitment. At this point, it shouldn’t come as a surprise that the owner of Binary Secret scam, David Craig is non-existent too. He is just a fabricated identity used to promote the scam. The man in the image is a stock photo obtained from 123rf.com, a stock photo vendor site that allows anyone to purchase photos to be used in their websites. If Binary Secret system is a legitimate software that works, the scammers wouldn’t have to fake an identity just to promote the scam. The fact is, Binary Secret is just a generic binary trading robot that is used in many other similar scams. These robots don’t work as advertised, instead they generate random trades that will make you lose your investments in a heartbeat. As good as David Craig tries to make the opportunity sound, the scammers behind Binary Secret are hiding some important truths inside the disclaimer. You can verify the authenticity of the disclaimer quoted here at binarysecret.co/terms. It’s deliberately made hard to read and hidden from potential victims to make sure they are not aware of it. Earning potential is entirely dependent on the person using our product, ideas and techniques. We do not purport this as a “get rich scheme”. We cannot guarantee your success or income level nor are we responsible for any of your actions. And and all forward looking statements here or on any of our sales materials are intended to express our opinion of earnings potential. Despite being a fully automated software, somehow your earning potential is entirely dependent on your own ideas and techniques. In short, if you lose money with the software, it’s your own lack of proper techniques. 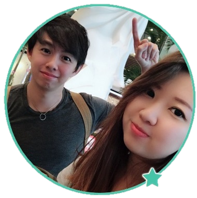 Despite giving the guarantee of making tens of thousands of dollars within a short period of time, you shouldn’t view Binary Secret as a “get rich scheme”. This is because scams like these are illegal in many jurisdiction, and the scammers are trying to escape legal issues with this clause. Again, despite giving you multiple promises of guaranteed profits, Binary Secret is denying it in their disclaimer. Instead, if you decide to use the software, you are responsible for your own losses. This is important – all the profits and earnings shown in the sales materials are intended to express the scammers’ opinion of earnings potential for the system. In short, all results shown are not real! Fact #4 alone should be enough to steer you clear of the scam. How can you trust a product that doesn’t report real results? Let alone deceiving you with fake testimonials and promises. Compare the clauses above with what they promise you in the sales materials, and you’ll immediately see how they try to escape legal complications with the disclaimer. The disclaimer weren’t included to help you make informed decision, the sole purpose is to help the scammers escape legal complications if you deposit money and lose all your money with the trading software. You cannot take any legal actions because it’s clearly stated in the disclaimer that you are responsible for your own actions. Is Binary Secret a Scam? YES, BINARY SECRET IS A SCAM. We strongly advise you to stay away from the scam if you don’t want to lose your hard-earned money. You’ll be better off spending that $250 for a nice dinner with your family than wasting it on a scam like this. The Nautilus Method Review – Is It Really a Scam? Alpha Money Generator Scam – Review with Proofs!